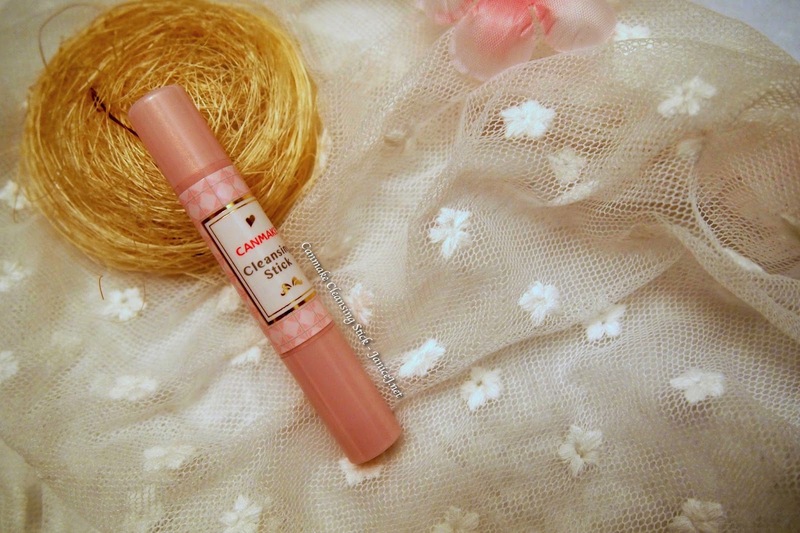 Mentioned in my previous Givenchy 201 Rose Taffetas blog post, this makeup cleansing stick from Canmake is a must have for every girl. Especially for those who only do light makeup for the day, in my case, light makeup for class (sunblock, eyebrow and lipstick only). I don't really like to use the traditional point make up remover as I feel that it is a wasting of cotton pad and make up remover. 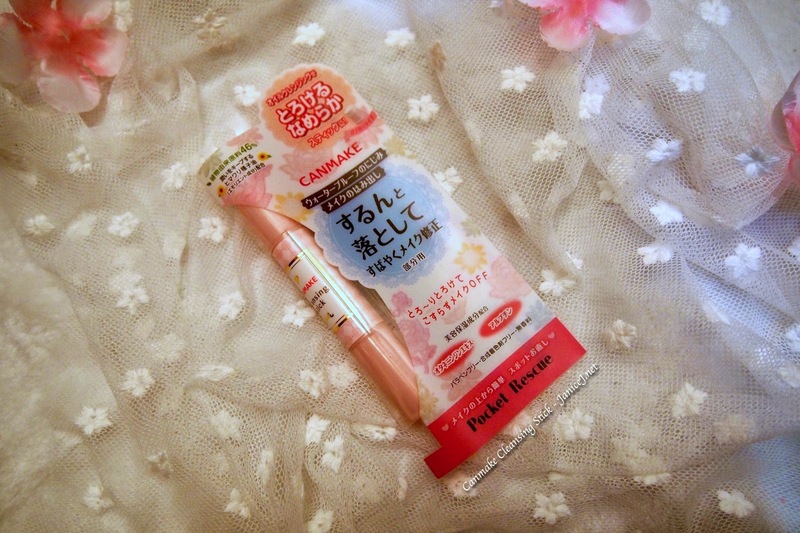 The Canmake make up cleansing stick can be use on your lips and eye as well. I'll do a demo after this. I got this from Taobao.com where a seller got it from Japan for me. 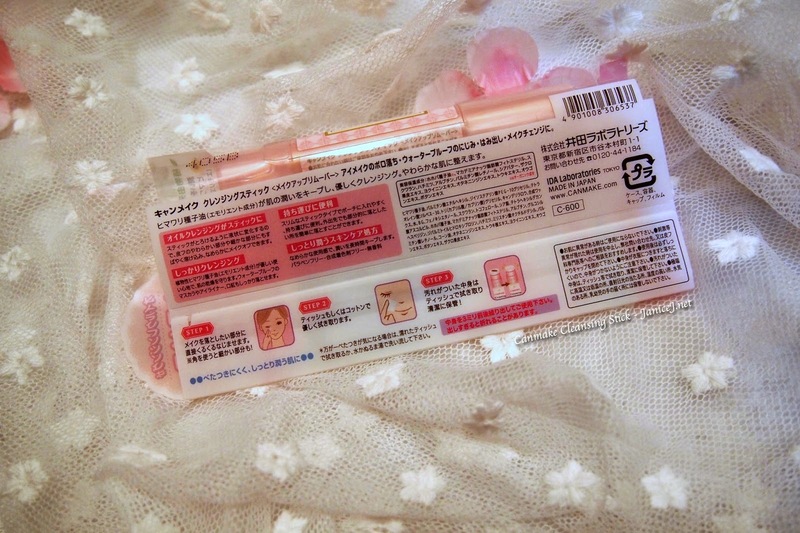 I believe that this only available in Japan as I can not really find it in local stores that usually carry Canmake. 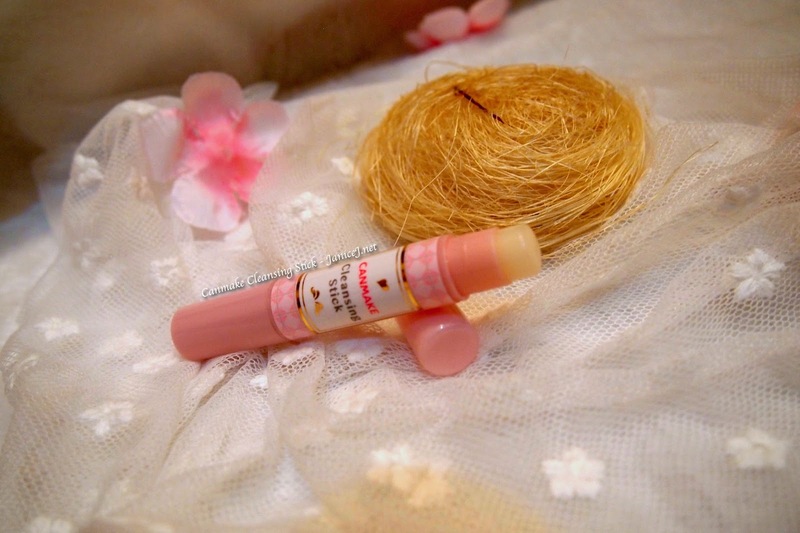 The cleansing stick looks just like your usual lip balm, except that it is thinner, like the size of a short pen. The content is rather soft, and it melts into oil when touches body temperature. Here's how to use it. 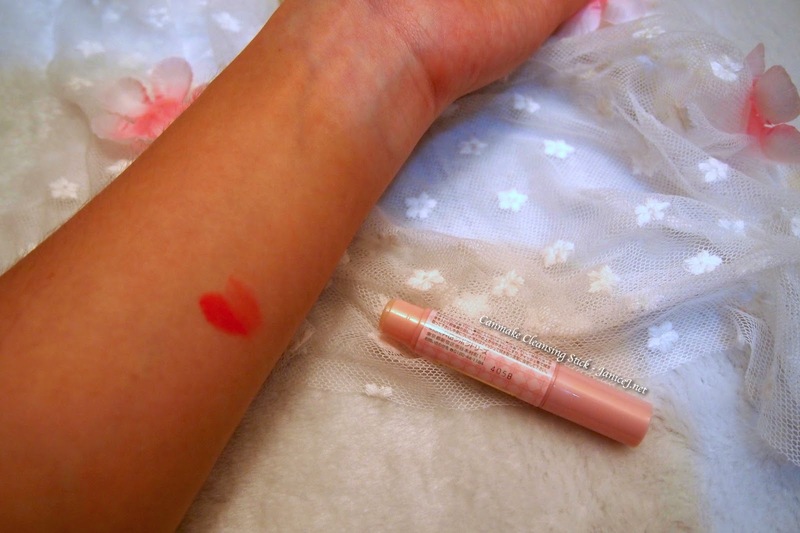 Below is the lipstick stain from Givenchy 201 Rose Taffetas. 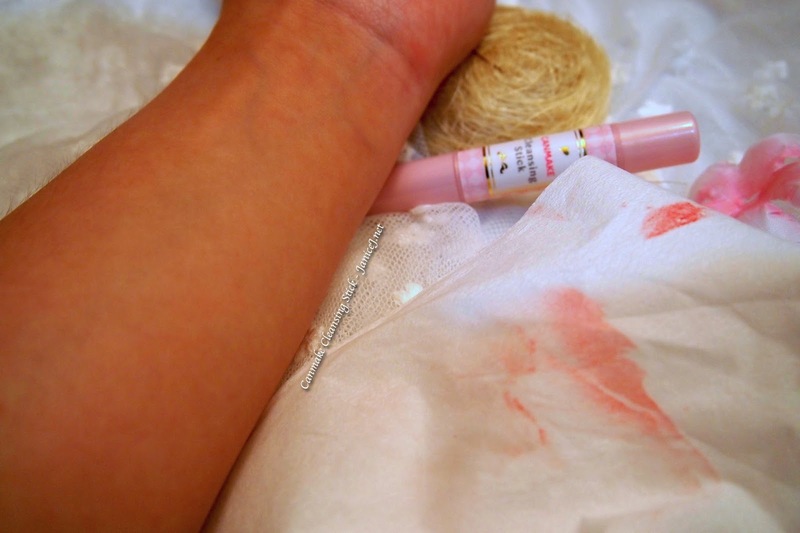 The left half is the full lipstick while the lip stain on the right half has been wiped off lightly using a tissue paper. 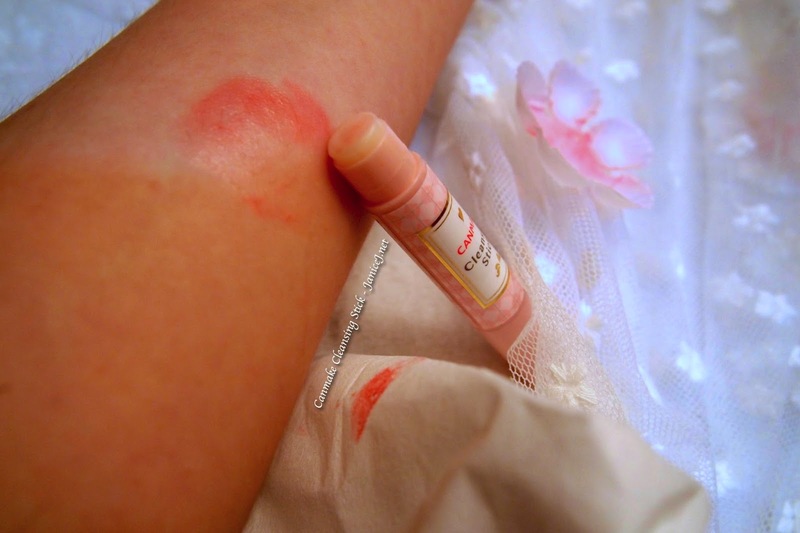 I love to apply the cleansing stick in circular motion so that it can gets into lip lines as well and clean throughly. After applying the cleansing stick, just use tissue paper to wipe off the residue and you are left with clean, stainless lips/skin. Many girls I know will use this to remove lipstick before eating so you won't take in any lipstick with your foods or drinks. The price for the product is at around RM25, I believe that you can get it at a cheaper price if you buy from Japan. It will probably last for about one and a half month for daily use.